Never the shopping experience and customer service was as important as it is today. Due to the development of new technologies, we have observed that consumer behavior has changed. 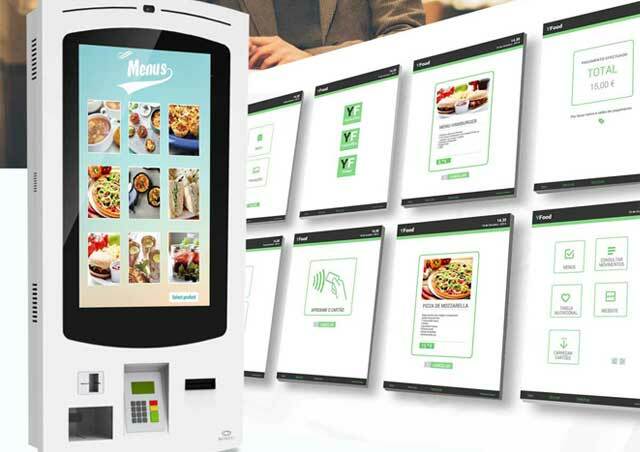 With many years of experience, PARTTEAM & OEMKIOSKS has been studying and developing technological solutions that meet the new needs of Supermarkets. 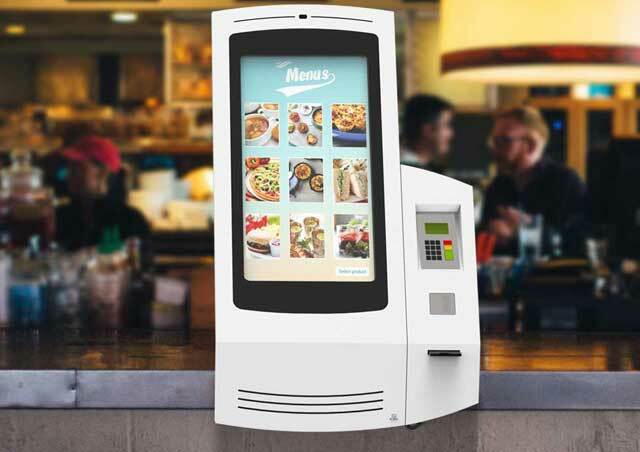 With the use of multimedia kiosks, Supermarkets can reduce human resources and therefore costs, providing customers, above all, a quality service, effective and above all much faster. The Self-Service service has revolutionized the experience of customers in different sectors of activity. The operating mode is simple, functional and provides a more autonomous and comfortable service. Don't let your customer wait ! With real quality and excellence in service, customers will feel more credibility in your business. 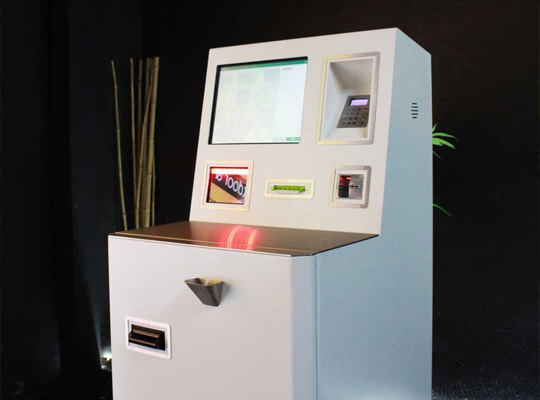 QMAGINE by PARTTEAM & OEMKIOSKS queuing management systems ensure better service organization, optimize service processes and eliminate the traditional queue. 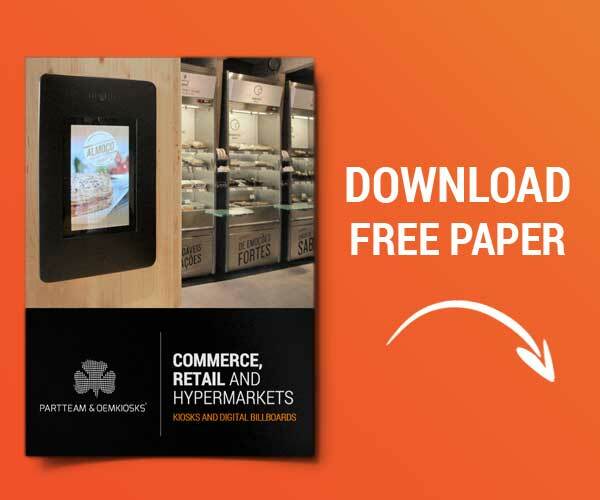 Menu boards are digital menus that continue to transform Supermarket communication. 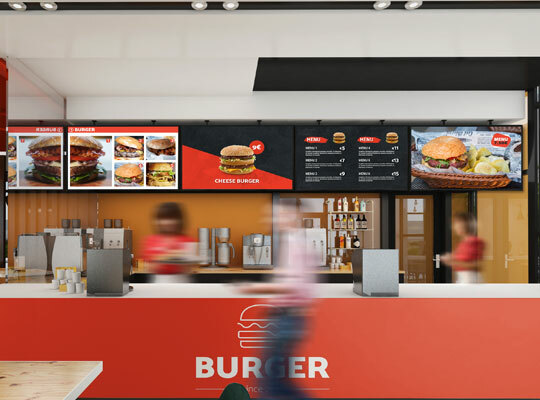 The digital displays are a unique opportunity for the owners and allow to display products and services in the different supports, in a more attractive and interactive than the traditional one. 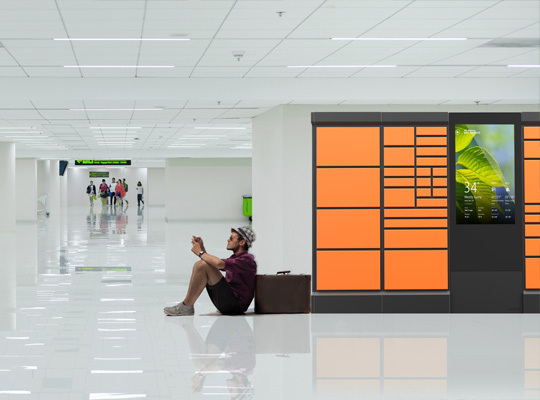 Pickup kiosks are the answer for the most demanding consumers, who wish to send / receive their parcels with more convenience and ease. 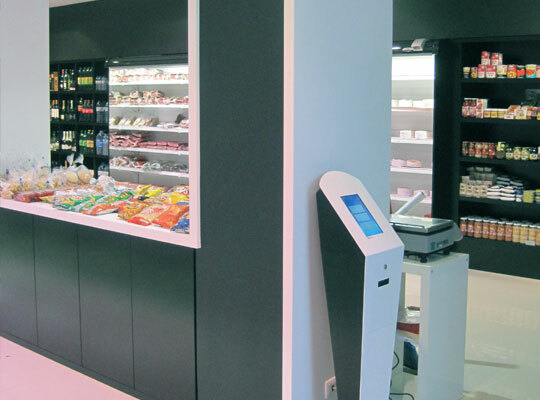 At PARTTEAM & OEMKIOSKS we develop kiosks tailored to the needs and requirements of each project.